India has overtaken the United States to become the world’s second largest Internet market, with 333 million users, trailing China’s 721 million. But a new report released today by the UN Broadband Commission for Sustainable Developmentalso confirms that just six nations – including China and India – together account for 55% of the total global population still offline, because of the sheer size of their populations. Globally, an estimated 3.9 billion people are not using the Internet. But the Commission’s new report estimates that, between them, China, India, Indonesia, Pakistan, Bangladesh and Nigeria account for 55% of all unconnected people, while 20 countries – including the US – account for a full 75% of those not using the Internet. These findings suggest that targeted efforts in just a few key markets could help enormously in redressing the gaping ‘digital divide’ between those who are online and those still offline. 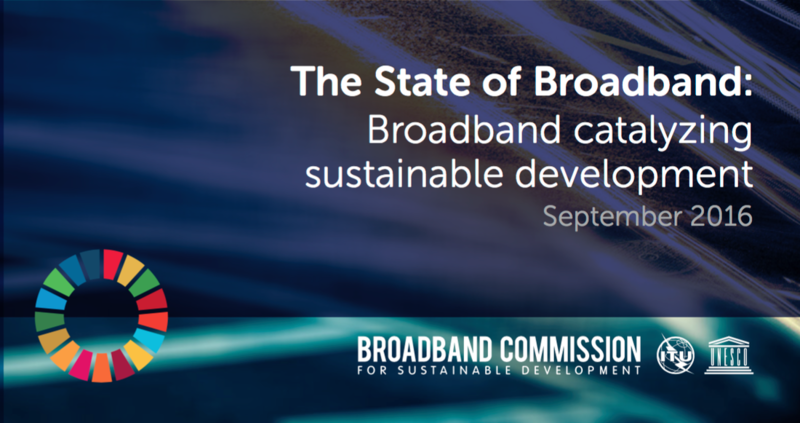 Released just ahead of the 14th meeting of the Commission in New York on September 18, The State of Broadband 2016 is optimistic about the potential of mobile broadband, with 165 countries now having deployed ‘4G’ high-speed mobile networks. As smartphone penetration reaches near-saturation in the US, Europe and mature markets in Asia like Japan and Korea, India and Indonesia in particular are expected to drive future growth. India also recently overtook the US to become the world’s second-largest smartphone market, with an estimated 260 million mobile broadband subscriptions. The Commission argues that if today’s near-universal basic mobile phone access could be converted to high-speed mobile broadband access, mobile phones could serve as a major accelerator of development, driving rapid progress towards the UN Sustainable Development Goals. The report confirms that according to latest ITU figures, by end 2016 3.5 billion people will be using the Internet, up from 3.2 billion last year and equating to 47% of the global population. Progress in the 48 UN-designated Least Developed Countries has been encouraging, with the Commission’s target of 15% of the LDC population online expected to be reached by the end of this year. This year’s figures show that, once again, the top ten developing countries for household Internet penetration are all located in Asia or the Middle East. 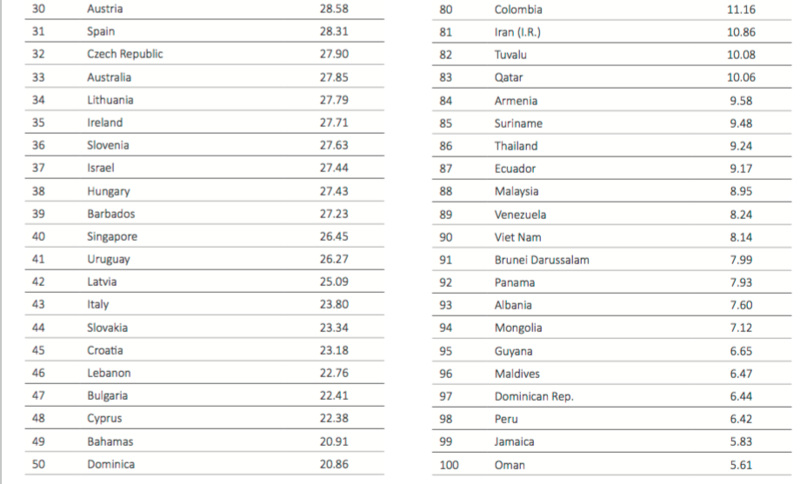 The Republic of Korea continues to have the world’s highest household Internet penetration, with 98.8% of homes connected; Qatar (96%) and United Arab Emirates (95%) rank second and third, respectively. 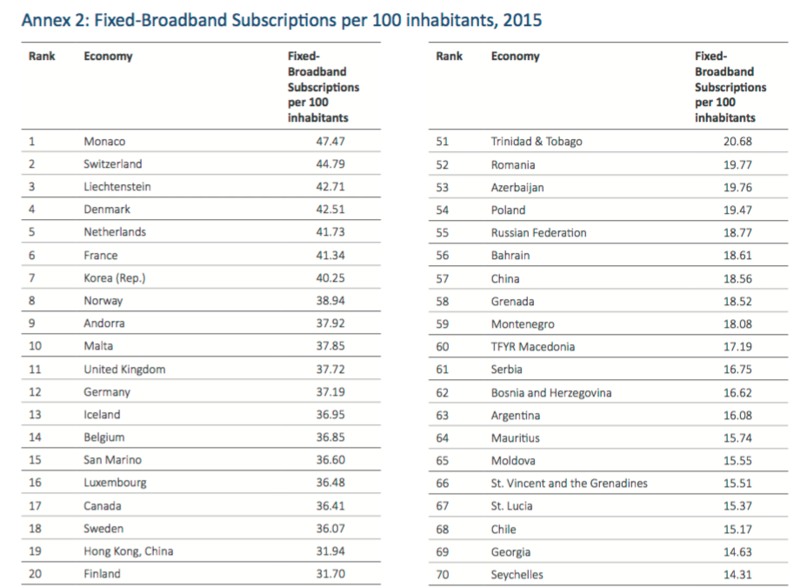 Finland has the world’s highest percentage of active mobile broadband subscriptions, with 144 subscriptions per 100 people, followed by Singapore (142) and Kuwait (139). The Asia-Pacific region accounts for nearly half (48%) of all active mobile broadband subscriptions. Progress towards the Commission’s 2011 targets has been mixed. As regards Target 1: National Broadband Plans, the Commission’s advocacy around the importance of broadband has seen the number of countries with a National Broadband Plan grow from 102 in 2010, when the Commission began its work, to 151 today. Progress on Target 2: Affordability, has seen the majority of countries now having reached the Commission’s goal of basic fixed broadband costing less than 5% of monthly GNI – including 83 developing countries. However, to date only five of the 48 UN-designated Least Developed Countries have achieved the target. While the Least Developed Countries are expected to attain Target 4: Getting People Online, with 15% of the population connected by the end of this year, at current growth rates the Commission’s overall global target of 60% of people online is unlikely to be achieved before 2021. The State of Broadband 2016 is the sixth edition of the Commission’s broadband connectivity report. Released annually, it is the only report that features country-by-country rankings based on access and affordability for over 160 economies worldwide. Download the key Report Findings. Download an overview of progress towards the Commissions 5 Broadband Targets. Download cover photos of the report. More than half the world is still offline. What’s the main reason – and how can this ‘digital divide’ be bridged? Where does the Commission believe broadband can drive significant progress? What role will broadband play in creating the ‘smart cities’ of tomorrow? The report concludes with many recommendations for policy-makers and world leaders. Which are the most urgent, where are the quick wins? If we want to connect the next 1.5 billion people, where should we be focusing? Download broadcast-quality audio podcasts of these interview questions.